How long has your family been involved in raising cattle? Tell us about how it got started. 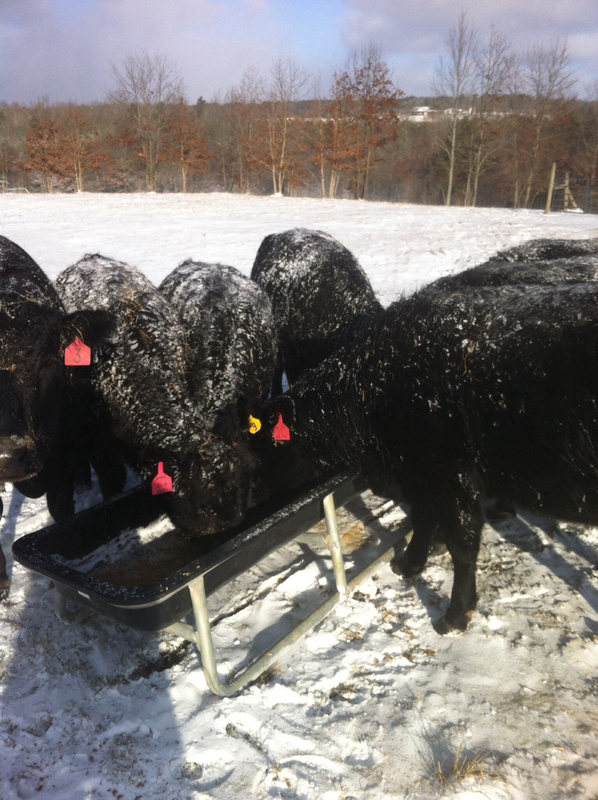 Our family started raising Registered Black Angus in 2010. 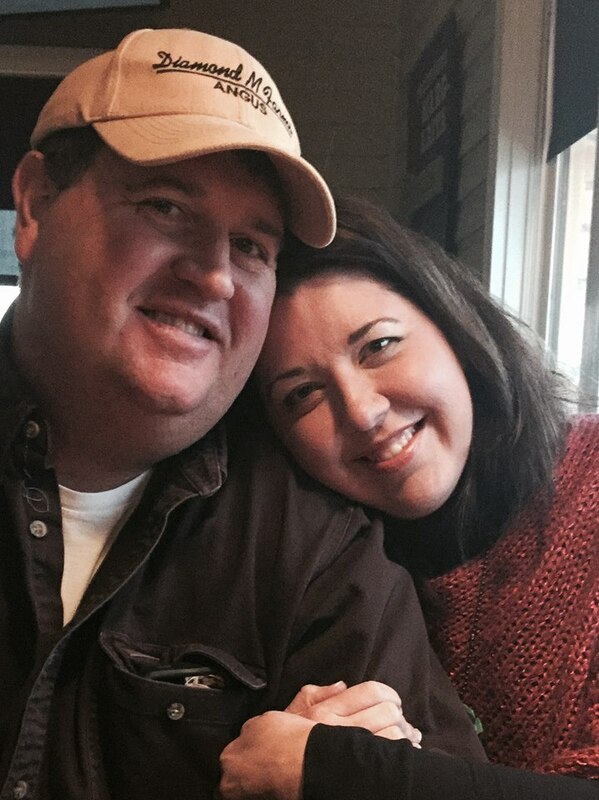 My husband, Wade, always wanted to raise cattle so we moved to Tennessee from Florida. We started with six females and have worked our way up to fourteen. We both still work full time jobs to be able to afford to build our business. Everything we make goes into our business without financing anything so it is slowly growing. What have been some of the trials you or your family has had to overcome? Our biggest challenge is grass management. There is never enough grass. And then, running out of hay in the winter or losing a calf after we worked hard in summer cutting hay on our days off. What does it mean to you to be able to work with your family every day? Working with your family is great. My husband and I have a better relationship now that we are working together on our farm and watching it grow. It’s a lot of work but satisfying when we are all out in the field with our daughters picking up hay bales. I think when we work together on plans for the future, then we become closer bonded. What is one thing you wish more people knew about life on the farm? Farm life is very hard but rewarding. You are working to build a successful business and when you sit back and look how far you have come, it makes you happy. 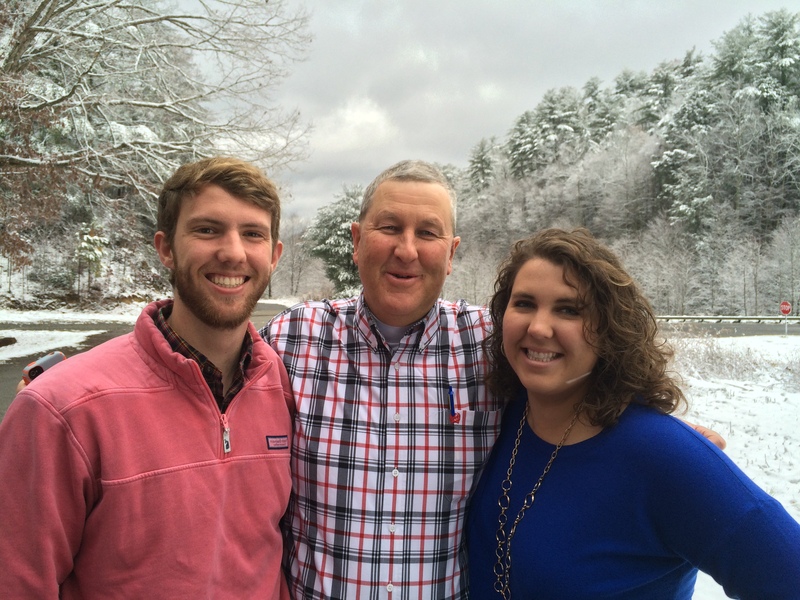 Do you have any advice for young Tennessee cattle producers about the business? We would never have been able to get as far as we have without our neighbor. When we moved to Tennessee we were starting our cattle business and our neighbor had some cattle. He has taught us a lot about haying and we help each other when we need it. It is nice when you have a fellow cattlemen you can depend on to help you when you need it. It would be great if your county and neighboring counties kept in touch so that we can all help each other in times of need…such as equipment failure or need a few more hands in the field to get the hay off the ground before the rain comes. 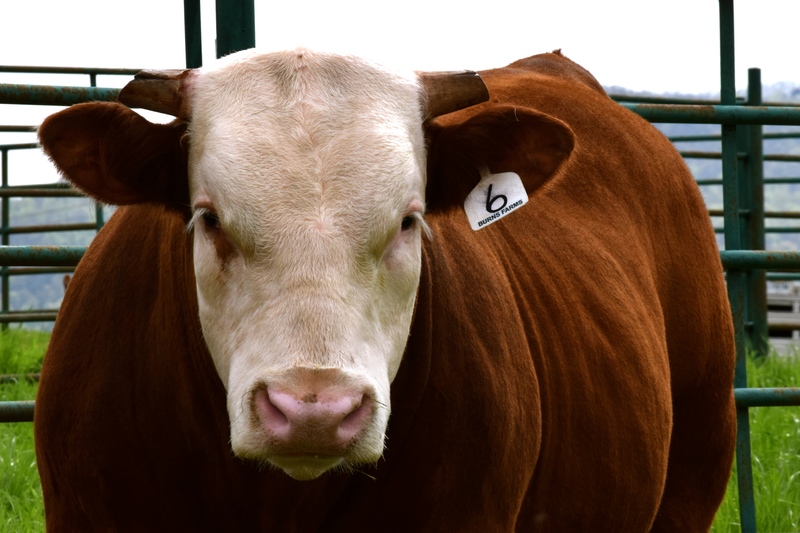 Whether you’re a beef cattle or tobacco producer, you can learn useful strategies to make your operation more productive at the University of Tennessee Institute of Agriculture’s Tobacco, Beef & More Field Day. The event takes place on Thursday, June 25, at the Highland Rim AgResearch and Education Center in Springfield. Admission is free. Registration begins at 7:30 a.m. CDT at the field day assembly area off Oakland Road. Field tours begin at 8:45. Arrive early so you can tour the trade show and educational displays. Among the exhibitors will be the UT Soil, Plant and Pest Center, which will be offering field day visitors free plant disease diagnostics, insect identification and soil pH testing. Just bring plant and insect specimens for identification. Those interested in learning the pH of their soil should bring a sandwich bag full of the soil they wish to be tested. Those desiring more comprehensive tests should visit the SPPC website (ag.tennessee.edu/spp) for instructions regarding samples and pricing or call a local UT Extension office. 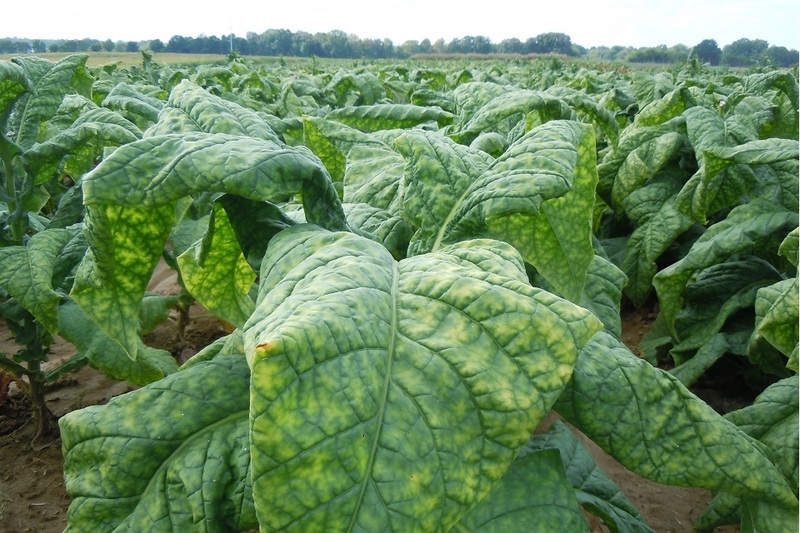 Tobacco Tours will cover tobacco variety development, conservation and strip-till tillage, new tray technology and quality transplants. Visitors can also learn about new products for black shank control, including the latest fungicide registration, Presidio. Beef Tour presentations will include information on incorporating estrus synchronization in a natural service program, as well as how to utilize CIDR’s to shorten the breeding season. Other presentations will cover an overview of the breeding soundness exam, sustainable alternatives to nitrogen fertilization in tall-fescue pastures and information on UTIA’s new Heifer Development Center and the benefits it will provide to producers. Additionally, visitors can choose to take an overview tour of the Highland Rim AgResearch Center. Learn about the center’s history, the current research taking place, and its important role in Tennessee agriculture. The tours will conclude at approximately 12:30 p.m. when visitors will be treated to a delicious lunch (including a steak sandwich, chips and cold drinks). More program details can be found at the Highland Rim AgResearch Center’s Facebook page or website: highlandrim.tennessee.edu. For additional information, or to request an accommodation for accessibility, please contact the center’s office at 615-382-3130. Pesticide re-certification points will be available for Categories 1, 4, 10 and 12. Attendees can earn two points per category. The Highland Rim AgResearch and Education Center is one of 10 research facilities operated by the UT Institute of Agriculture. The UT Institute of Agriculture provides instruction, research and outreach through the UT College of Agricultural Sciences and Natural Resources, the UT College of Veterinary Medicine, UT AgResearch, including its system of 10 research and education centers, and UT Extension offices in every county in the state. 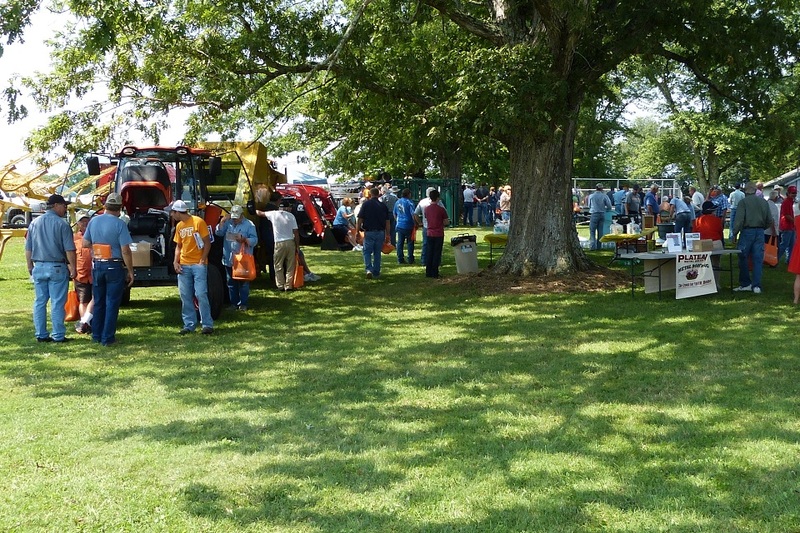 The annual Steak and Potatoes Field Day, sponsored by the University of Tennessee Institute of Agriculture, will once again showcase the research and outreach activities at UT’s Plateau AgResearch and Education Center. The free event, which includes a sponsored lunch, begins with registration and a trade show at 8 a.m. CDT onTuesday, Aug. 4, at the center’s main unit. Tours and seminars begin at 8:30 and conclude at 11:30. Lunch will be provided following the program. Three sets of talks and demonstrations will be presented to represent the interests of three groups of producers and landowners: those interested in improved beef production, those interested in commercial and personal fruit and vegetable production and those interested in land management issues. The beef production presentations will address diverse topics including in-vitro fertilization, the economics of fall versus spring calving, cow milk quality and animal nutrition. The field day’s fruit and vegetable production discussions will feature presentations about tomato production, fungicides, new pests as well as the use of high tunnels in commercial operations. A discussion of organic versus conventional production will also be presented. Additional presentations about fish pond management and chainsaw safety should also be of interest to many landowners. Pesticide recertification points will be awarded to participants in need of continuing education to maintain their certification. Contact the center for more details by calling at 931-484-0034. Also call the center for more information about the event or to request an accommodation for accessibility. The Plateau AgResearch and Education Center is one of 10 outdoor laboratories located throughout the state as part of the UT AgResearch system. The UT Institute of Agriculture provides instruction, research and outreach through the UT College of Agricultural Sciences and Natural Resources, the UT College of Veterinary Medicine, UT AgResearch, including its system of 10 research and education centers, and UT Extension offices in every county in the state. 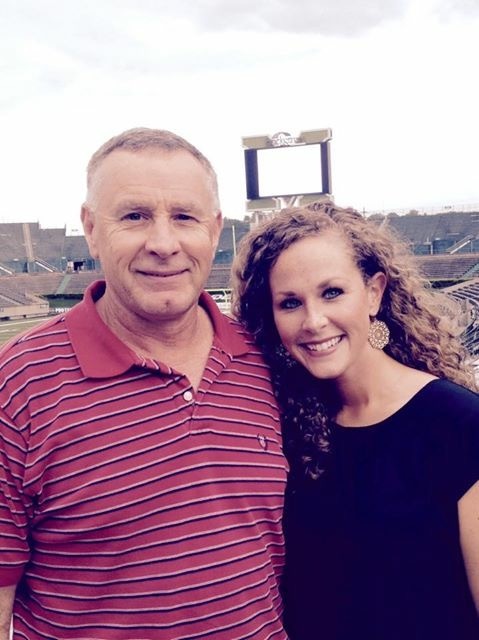 Meredith Mayfield and her father. 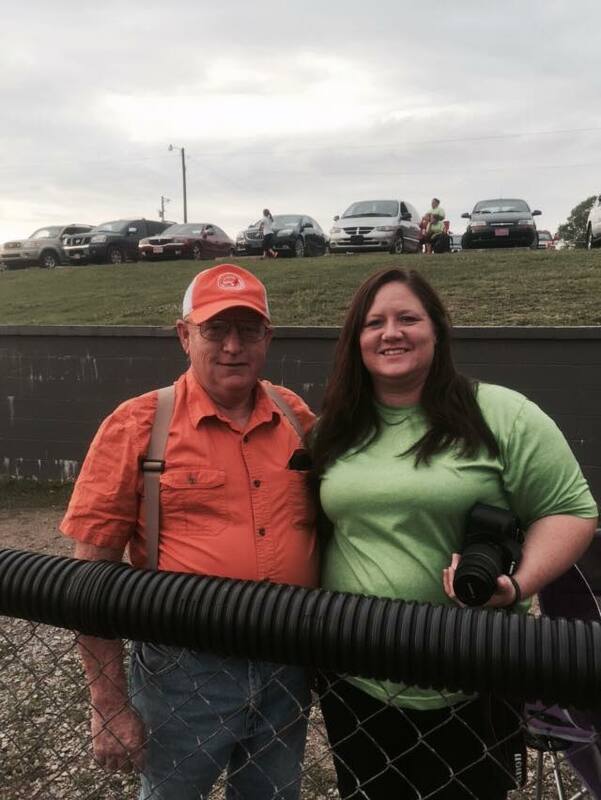 Michelle Daniel Rowlett and her father, Gary. Thank you fathers for developing the next generation of not only cattle farmers, but also, citizens of the world. We love you! To be a part of a group, like these cattlemen and women, join TCA today! It’s only $30 per year to become a member. Click here for more information. On Wednesday, the House of Representatives passed the Conaway/Costa bill (HR 2393) to repeal Country of Origin Labeling for beef, pork and chicken. The bill passed with a strong bi-partisan vote of 300 to 131. National Cattlemen’s Beef Association President and Chugwater, Wyoming, cattleman Philip Ellis said this strong action by the House sends a clear signal that this is a failed program. Canada and Mexico have announced they will seek $3.6 billion in retaliatory tariffs, raising prices for U.S. beef, pork, ethanol, wine and a host of other products. The USDA’s Economic Research Service estimates that each dollar of agricultural exports stimulates another $1.22 in business activity and that every $1 billion of U.S. agricultural exports requires 7,580 American jobs throughout the economy. Samantha with her husband, Brian. 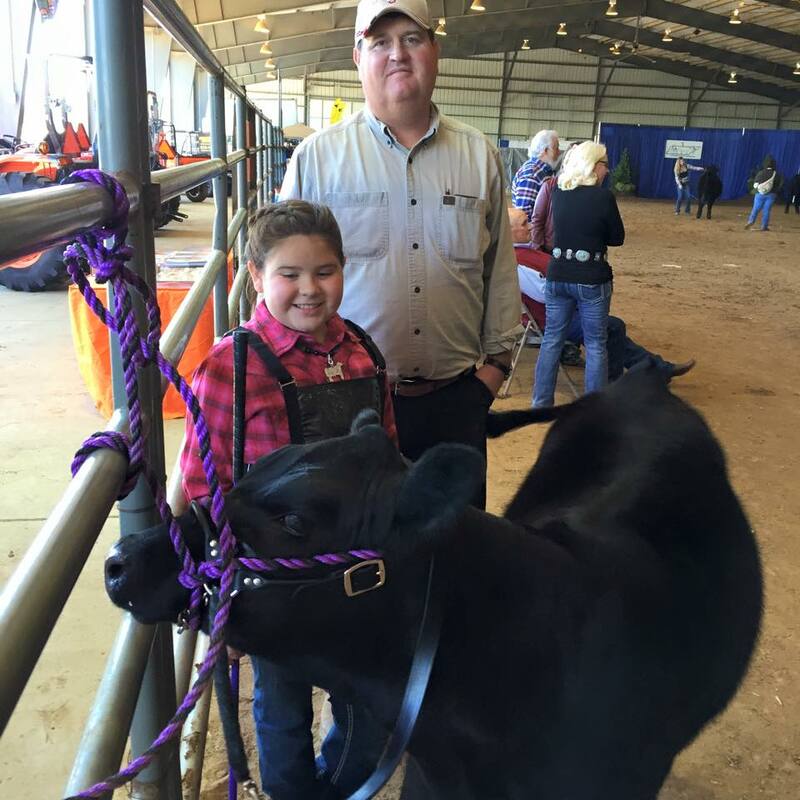 How did you get involved with raising cattle? I got involved with farming by default because I fell in love with a farmer. I met Brian as a Senior in college with my own plans for medical school. So, the first few years of our life together involved farming on the weekends while I went through medical school and Residency training. I will be the first to admit that I did not take an interest in the farm and made it difficult at times for Brian to do what needed to be done on the farm. I was truly one of those women that did not know or care where my food came from and I loved words like organically grown and hormone free, without a clue what they meant agriculturally. So, after coming home as a young family, Brian finally convinced me to go on Fall Tour with YF&R- it was eye opening. I meant the nicest people that were devoted to their farms and production. I started to learn what farming actually means, and I started talking about agricultural and learning all I could. I also took a more active role in YF&R, our own farm, and social media as it related to agricultural issues. Tell us about your farm today. Brian and I live in a sixth generation Registered Angus farm. Now, six generations ago, his family farmed to survive and feed growing families. We have raised Registered Angus for over ten years, but before that the farm produced tobacco, hay, and commercial cattle. We are proud of the genetics of our cattle, the environmental changes implemented on our farm, and of being able to raise our family on the farm. Today we also produce hay, recreational horses, registered Mt. Curr hunting dogs, and help our kids with their 4-H animals. What was your favorite part about watching your daughters grow up on the farm? Watching my girls grow up on the farm – that’s interesting. Well, I would have to say that seeing them take an interest in the genetics and health of our cattle has been neat. Having them help in farm chores like working the cattle for vaccines and health checks, haul in hay, and check/repair fences. But also, it’s good to see them learn things like hunting for Morel mushrooms, hunting for everything from squirrel/turkey/deer, and hiking. I am most proud of their interest in our cattle. Brie can tell you about every baby calf we get and already has a keen eye for an animal in poor health. While, Ella is learning to AI and draw blood under her Dad’s watchful eye. To name a few: balancing farming with my job, learning to let go of my timetable when their is farm work to be done, and not caring if the house is perfect but rather as long as it’s home. But, the biggest trial was in me learning and accepting the role of farm wife and Mom. A lot of women I meet in agriculture still occupy a very traditional family role- as in the stay at home Mom, that is able to cook 3 meals a day and do all the house work. I think that is a wonderful goal and wish I was made that way, but I am a total career woman at heart. Balancing the difference can be interesting at times, because even in my life, my Mother-in-law is very traditional in her mindset. Often we differ I small things like whether the girls understand “checking for heat” actually deals with cows estrus cycle and related to breeding. She just never discussed such things and worries that Brian and I are too open with the kids. It’s also been difficult at times relating to other women in agriculture because I don’t quilt, cannot always volunteer for a local food drive or read at school day, but that does not mean that I am less interested in issues facing agriculture. Well, it’s not that different than life anywhere else, but it is more rewarding. We are blessed to grow our own meat, or hunt for it. It’s great to be able to get out into a pasture and watch our animals. But it is full of responsibility too. You cannot just take off for 2 weeks. Animals require care every day. So, despite baseball, dance, work or play – there is animals to feed, fences to mend, and work to be done everyday. I admit to not having to worry if the kids just go outside to play. Well, let’s be specific- I don’t worry about them going missing out of the yard, but I do worry about snakes, falling out of barn lofts, or trying to do more than they should working cattle and getting stepped on. But, any life has little worries. It’s a commute to work, but only about 45 minutes and I have friends in cities that commute longer and have much less freedom at home. Well, that would be a better question for Brian as he works with his Dad every day. Blending generations can sometimes be tricky, especially as both Father and son think each knows best and that just leaves the kids and I to be the little Indians to two very different Chiefs. But, overall it’s a lot of fun to work with all my family. It also helps teach the girls about temper control, working with different personalities, and remaining goal oriented. Be patient and have a long range plan for care/farming. Have a good support team and if your spouse is not from a farm, try to get them involved in the operation by letting them help, even if it means you might have to go back over their work latter. I know from first hand experience that I became more excited and involved once their were things I could do to be useful to the farm. What is it like to balance farming with your work as a doctor? Well, that has been interesting to work out. For several years I had a full time office practice and could be involved very little in day to day farming. But, since I have transitioned to full time ER work, I can do a lot more on the farm. One of the best features of farm life is usually Brian or I can get free for most everything the kids are involved in. From school plays, to ag projects, we are able to be involved in their lives. So, I choose to orient my schedule for farm and kids. How do you incorporate beef into a healthy meal for your family? Healthy meals are not much of a problem for me in relationship to using beef. We grill a lot, and our hamburger meat is a 80/20 grind. Roasting and braising both also limit the overall fat in beef cuts. Most people don’t know but their is even a validated diet supported by the medical side of my life called BOLD. I also love using leftover steaks for lunch time steak burritos or quesadillas. Turning roast into beef stew is also neat. I find no matter the culture, beef can fit into the menu. Is there anything else you can share with us? Having come from a non-farming family and background, I feel blessed everyday for the richness that being a farm Mom and wife has allowed. The richness of this life is not to be replaced, and I worry that as farmers age and young people are choosing lives in cities over their farms who will grow our food and fiber. I can understand the issues facing us – immigration reform, water regulations, and so many more and hope that by being involved in a small amount, we can keep our farm going for my seventh generation farmers. Join the NCBA webinar to hear the latest update on antibiotic use regulations in the cattle industry and how farmers, ranchers and feeders can plan to adjust management systems to achieve compliance. Featured speakers include: Dr. Mike Apley, Professor of Production Medicine and Clinical Pharmacology, Kansas State University; and a representative from the Food and Drug Administration’s Center for Veterinary Medicine. Dr. Apley is a veterinarian with a PhD in physiology (pharmacology). He is a Diplomate of the American College of Veterinary Clinical Pharmacology. His practice background includes 2 years in general practice in central Kansas and 4 years in a feedlot consulting/contract research practice based in Greeley, Colorado. Dr. Apley was on the faculty at Iowa State University for 9 years through 2005. He is currently a professor in the Department of Veterinary Clinical Sciences at Kansas State University. Dr. Apley works with veterinarians and producers throughout the United States concerning the use of drugs in food animals and also in the area of beef cattle health with an emphasis on feedlots. Dr. Apley teaches in the beef production medicine, large animal medicine, and pharmacology courses. His research interests include infectious disease, antibiotic efficacy and resistance, drug residues, and applications of drugs in food animals. Dr. Apley is a past president of the Academy of Veterinary Consultants and the American College of Veterinary Clinical Pharmacology. Tell us about how Burns Herefords got started. Dr. Phillip Burns with son, David. Sixty-three years ago Randall Burns and his son Dr. Phillip Burns started this farm. 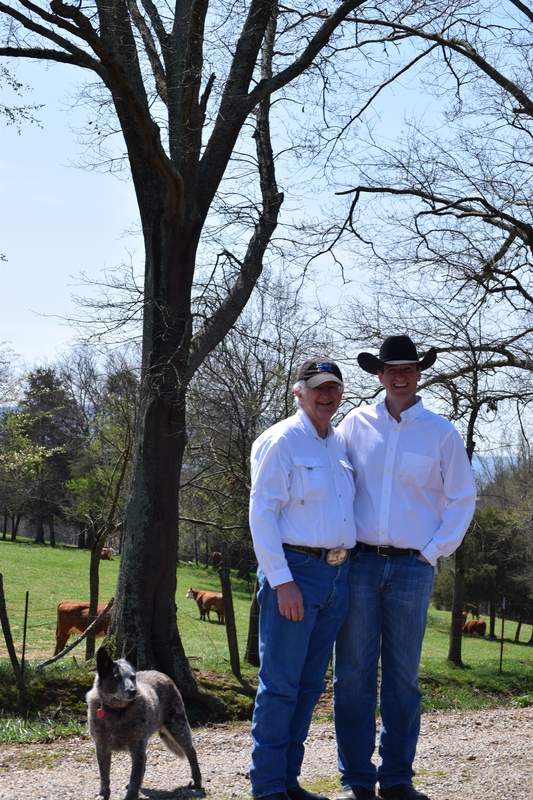 You can find Phillip working on the farm every weekend alongside his son and cattleman entrepreneur, David Burns, who now manages the farm. David is a 3rd generation farmer that has taken his small family farm and elevated it to receive buyers and interest from all over the United States. 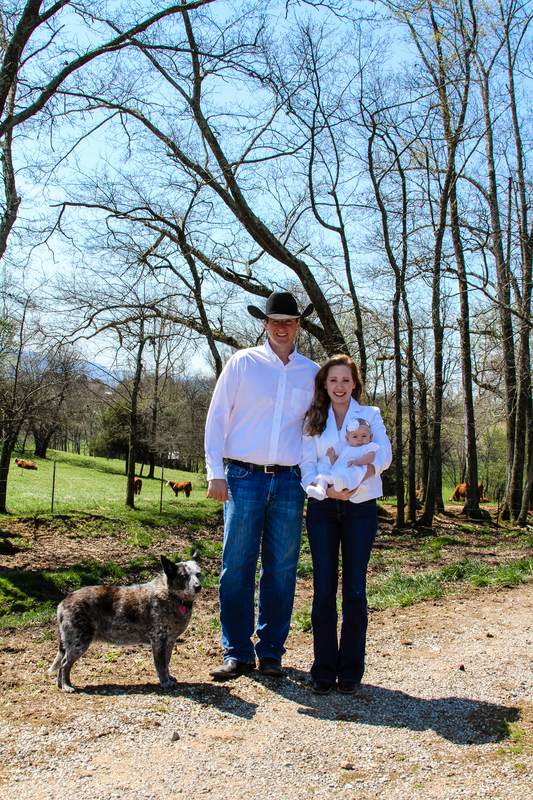 Now, we are the largest Registered Hereford Cattle Farm in the state of Tennessee and we attempt to sustain a tradition, heritage, and legacy in this small town tucked away in the Sequatchie Valley of East Tennessee. What is the farm like today? In 2009, after David became Farm Manager, he pushed for the construction of the sale barn and brought the farm to another level. 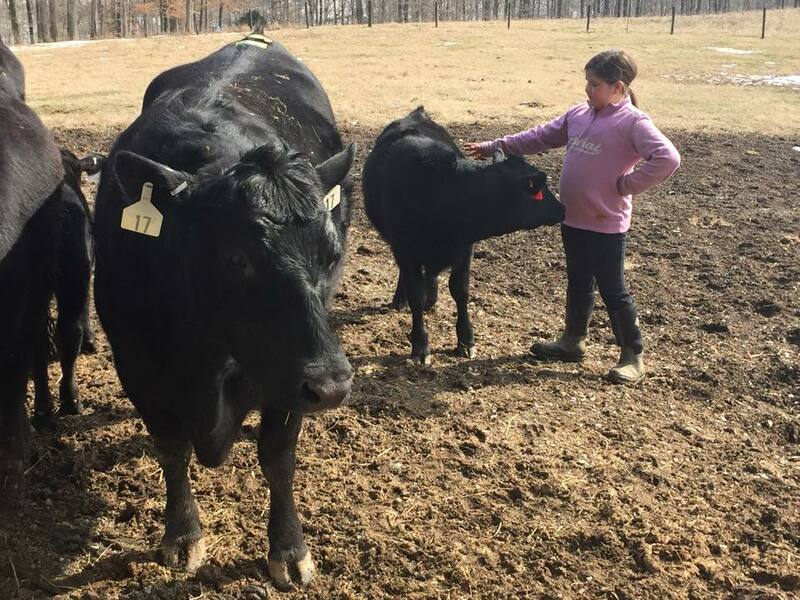 Then Burns Farms had its first sale and they now have two annual Female and Bull sales each year selling over 150 Bulls and 100 females annually. In 2014 David began an ET program that offers more genetic diversification to the area. He focuses on bringing quality bull selection, and utilizes the latest technology, such as providing genetically enhanced EPDs on all bulls. What is your favorite part about living on the farm? My favorite thing about living on a farm is that I have a place for my horses and hundreds of acres to ride. Like any business, we have had our challenges through the years. The first challenge was updating infrastructure to run the business more efficiently. David, Katie and Helen Burns with dog, Sadie. GMOs are good and help farmers use less pesticides and increase yields. We also want to share how technologically advanced beef cattle farming is today. Farming as a job is 365 days a year and you are “on call” 24 hours a day and everyone in the family is affected by the job. What does it mean to you to be able to work with your family every day? And what does it mean to you and David to be able to raise your daughter there? Well, I don’t work with my family everyday in the conventional way. I am a Licensed Mental Health professional and I do work outside of the farm. 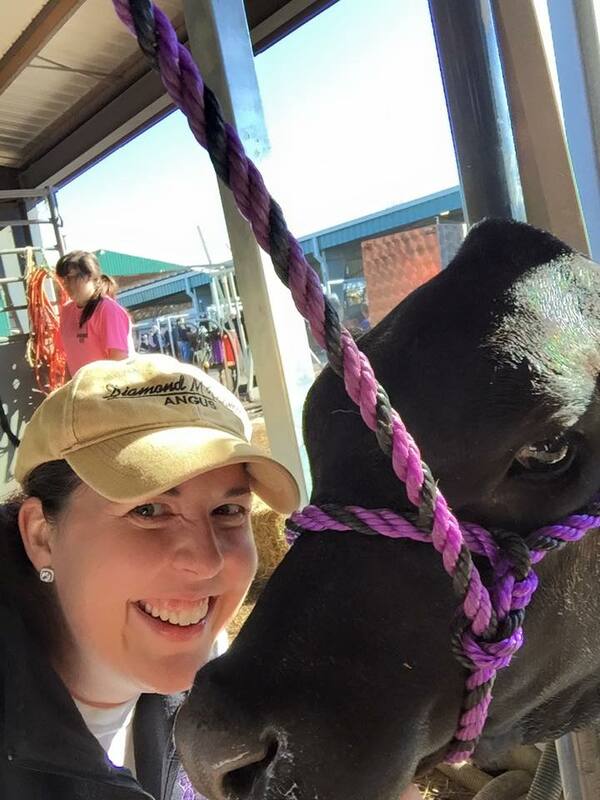 However as a Farm Wife and the Public Relations person for Burns Farms, I am always ready to help and sometimes the job lines blur – whether it is to pray because a calf is being pulled or have my camera ready to capture the quiet strength of our Hereford bull to post on social media or use for our catalog. I also ride along with my husband in a little green truck to tag calves, open gates, and drive through fields and fields of beautiful Herefords analyzing the production and business. I got involved in working with him because I wanted to share his passion and my growing interest with the public. 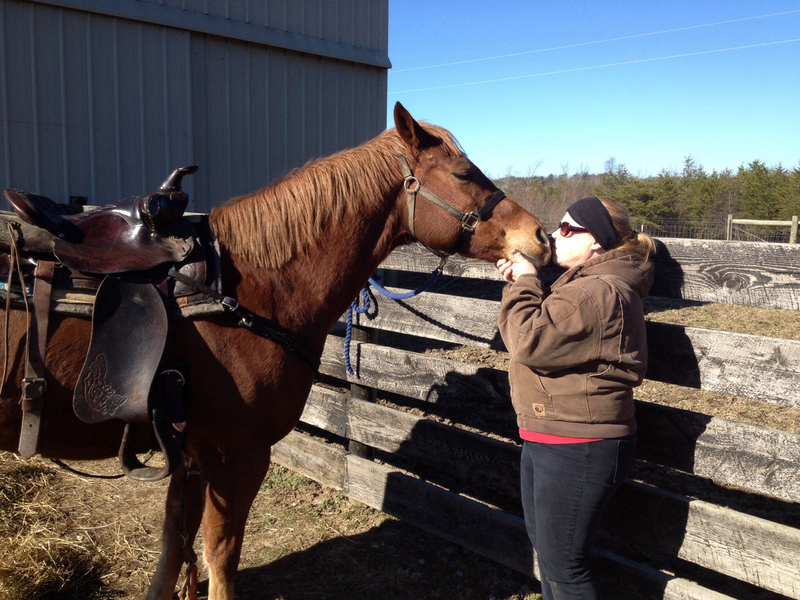 I say growing interest because my first love will always be horses. As for our daughter, we feel she will never be bored growing up on a farm. Her education will be both in books and hands on experience with agriculture and business. Her play will be outside next to a lake or river and she will be able to have amazing adventures as she explores our land. Science will be a living experiment and God will be ever present … because we think that you are closest to God when living and seeing what He presents in nature. What’s your favorite beef dish? Our locally sourced and pasture raised Hereford beef filet mignon. I absolutely love Hereford beef and it was one of the ways my husband romanced me when we were dating. Family farming to me is my sister-in-law Sarah, working on the business details, increasing our technological efficiency, and running our freezer beef sales. Gayanne, my Mother-in-Law and The Farm Mother who is the ultimate host for buyers visiting, sale events and Sunday dinners. Phillip, my Father-in-Law, working tirelessly on the farm every weekend with preservation projects, helping David, and making egg and meat biscuits for everyone on the weekends. My nephew working the back gate at the sale for the first time. Friends who we add as family because of their unconditional support and help. Family investing their time and talents all to support my husband’s dream and career. Farming requires a village and we are blessed.